These 13 tuneful tales for kids and kin will appeal to the whole family. 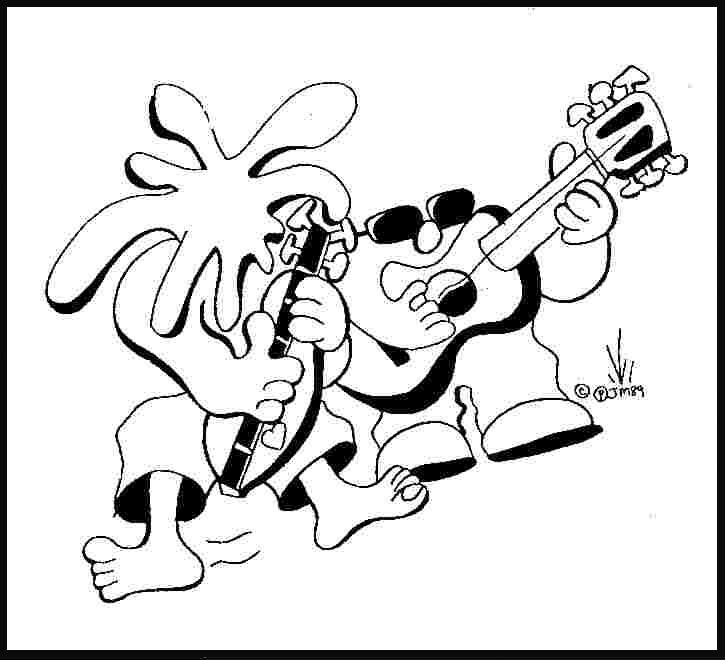 Many of these songs grew up with Pied Pumkin's children and now are leaving home to discover new imagine nations. Shari tells the story of learning to play violin in ANNABELLE'S FIDDLE and celebrates her home on BOWEN ISLAND. Joe delights with the uptempo WE'RE HAVING A PARTY, WHEN THE BELL RINGS and the French nonsense song AMANDINE. 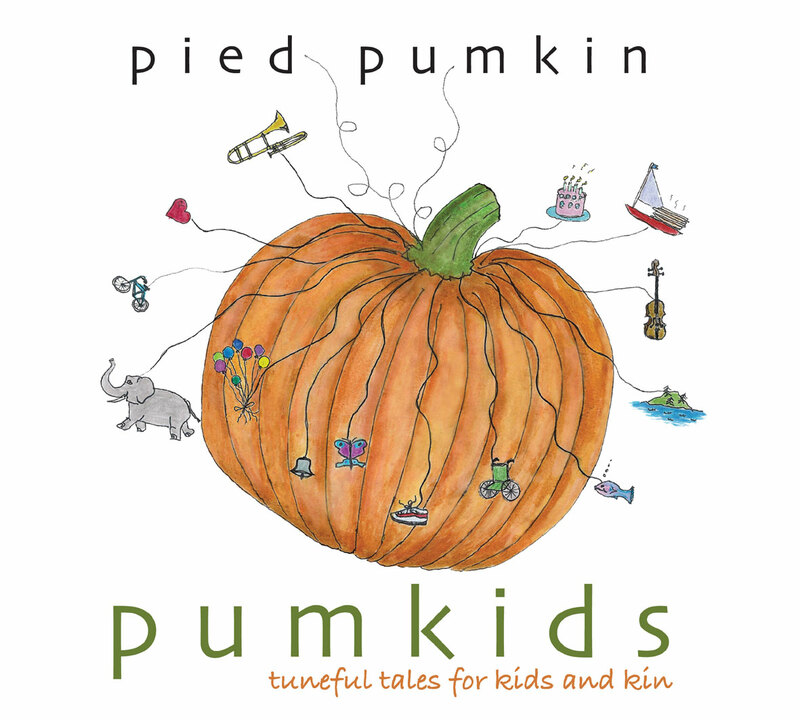 Rick offers pumkinized versions of his much requested ELEPHANT RIDE and the lively lullabye LITTLE TAI. Special guest Fred Penner sings on UPSIDE OF DOWN / BON COTE DE DOWN, the theme song for the 2006 World Congress on Down Syndrome. Parents' Choice says, "Songs fueled by heart and delivered via standpout vocal harmonies and acoustic instruments add up to listening pleasure for ears of any age." 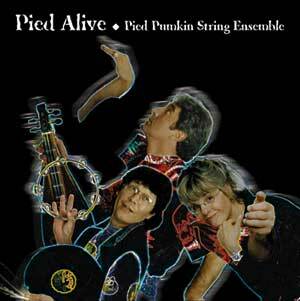 PIED ALIVE (Pied Pumkin) CD 13 songs recorded live in 9 communities during the Pumkin's hugely successful 33 concert 1999 Western Canada Tour. Newcastle, Gabriola, Denman and Lasquetti Islands, Cobble Hill, Victoria, Port Moody, Salmon Arm and the Vancouver East Cultural Centre serve as settings for dynamic musical polaroids from B.C. 's beloved minstrels. Dulcimer, guitar , violin, flute, piano and mandolin combine in a smorgasbord of folk, rock, jazz, blues and country. .Produce is also available at all concerts or ask your local record store to order it from Outside Music. This CD is missing a couple of what I think are vital Pied picks... um, pieces? (no pun intended -- oh nvm :P ). You should get the CD if you like US and/or Canadian folk, at all, of any sort. If you find that you like the band you are strongly encouraged to purchase the band's LPs from Shari Ulrich's or Rick Scott's website, and also the live CD-only 2001 album, which you can get very quickly and with much love from this lovely site right here. These recordings of raw pumkin (or, as Joe says, "audio verité"), were chosen from the spring 1999 tour of BC Canada. They are a collection of songs nurtured in hearts over time, grown and growing in the gradens of the Canadian West Coast...filled with image and inspiration in tribute to special people, places and events...from the islands of BC, across (as Rick says), the "Rocky Modal Mountains," to Northern Alberta. If you were there, this recording should bring back fond memories of a fine evening together. If not, may it welcome you to the world of the Pumkin.